Bernard O’Regan presents a consideration of an approach to leadership based on what matters to the person, and supporting frontline staff to focus on that. Leaders look at the system, see what matters from the person’s perspective and help frontline staff to make it work. Leadership and the ability to lead change has never been more important in the disability services sector in Ireland than at this time. The opportunity to make a real and significant contribution to the lives of people is great, but the challenges of a creeping bureaucracy and the rigidity of compliance have never posed such threats to that opportunity. Increasingly, we experience “leadership” defined by a command and control approach, underlined by somewhat limited approaches to accountability and compliance, and often driven by templates, returns, inspection and action plans. This kind of leadership results in a very driven sector, with the propulsion coming from strategies and action plans, sometimes with very well-intentioned and appropriate goals, but also a risk of incoherence, and of exhausting a service delivery system. Ultimately, it delivers some good but also brings risks. Often the person who should be the focus is missing. Leadership is essential, but this is not the leadership we need now. It’s too systems-oriented. It’s important that we understand who can provide leadership, and lead a change in thinking about leadership, and actually lead. The usual place to start is at the top, with the people in the usual management roles in the hierarchy of organisations. We know people in those roles, many of whom are leaders, are leading change, and are making differences in people’s lives. But it would be wrong of us to think that that is the primary reservoir of leadership. There is plenty of evidence to show that senior managers can be influenced and wooed by ideas. However, many of those ideas get packaged, the outcomes get specified and the “organisation” system of planning is applied, sometimes with the innovation and life of the original idea disappearing in the process-based approach. I’m not suggesting that these structures are not important and don’t have roles to play – how could I, given my own role in an organisation? But there is another way of leading which is for all of us: just get on with it! There are many independent-minded, willing, skilled and capable people who really want to do good work in their area or team. If we empower them, let them get on with it, don’t obstruct them or make it too difficult, then a caucus of competence will emerge. When this happens, and there is good data to support it, and where people are vocal in saying that they like what’s going on, it will build momentum and become increasingly difficult for organisation systems to obstruct it. We need to do as much as we can to demonstrate what is possible and for this we need good leadership. This is best considered in reflecting on what leadership can and does look like when practiced by people who are good at it. My manager helps to work around or solve the pressures the organisation may create that undermine the purpose. This is what the best leaders do. This is not a soft, woolly leadership; it’s real, dedicated to a purpose, truly person-centred and committed to supporting people to play their part as well as possible in meeting an agreed purpose. Effective leaders work with teams to help them understand what they are there for, setting out in very clear and concise terms what anyone would expect to see if the purpose is met. This is not about the usual mission statements; it’s about statements developed through discussion and testing so that there is ownership by all and a commitment to it. The leader’s role is to help develop this, including people, but ensuring that this is done at the frontline of services, including the people served and frontline staff. The good leader observes what is happening, sees the consequences and effects of what is done. He or she is asking questions, about how what is being done meets the stated purpose. Data can be used to learn and to create feedback for everyone involved. We are all swamped with gathering information, completing returns and templates. But gathering the right data, good data, and then reflecting on it by asking “What does the data tell us?” is critical, not just data for data’s sake. The right data, made available to everyone so that they too can see it, can be an extraordinary tool in reinforcing what good looks like. When people see the evidence of their work in good data, it demonstrates their capability to do the right things, that they can be in control of what they do and that they are more than automatons in a bureaucratic system. The leader’s job is to add value to the frontline. As leaders spend time with people supported and the frontline staff, seeing what is working, they must seek to find out what gets in the way of purposeful work. In doing this, the team builds confidence in the leader and their ability to make things happen. This in turn will build their confidence in pulling what they need from their leader, whether it be information, training, support or access to others within and across the organisation and beyond. Doing great work does not mean implementing pre-determined solutions, however plausible they may seem, even if other organisations have successfully implemented them. You have to focus on your own organisation, where you work and understand it. Each organisation, and team/service/support arrangement within it, is unique and what happens elsewhere is not the same as what happens where you work. The people are unique. The relationships are unique. What happens elsewhere is not the same, but it can be used to better understand what happens in your team or organisation. By being true to your purpose and principles, and by applying them, you will discover what works and gain confidence in the logic that solutions will emerge from the work. This, however, is not the end of it. The reality is that we work in an increasingly bureaucratic system, a system that obstructs this type of leadership, because it doesn’t really understand it. The reality is that the leadership job has not even begun. The work that people are doing is the direct opposite of the way the system has been working historically. Everything in that system will undermine and block what they are trying to do. The leader’s role is crucial and tackles these problems. Some things may be simple but in many cases the leader will need to find a way to work around the existing system. At the same time you can try to engage in other departments with data and stories from the new work in order to encourage them to be helpful. The real work, however, is to make the changes systematic and permanent so that the organisation actively supports the new design. That will take time and skill. A common problem is that the current system is often based on hierarchies of grades and qualifications. You quickly learn that this is not only irrelevant but unhelpful. What happens is that the frontline is happy to ignore this for a while, but when you have to redeploy people, employ new people or change structures and acknowledge different skills, the HR system rapidly becomes a blockage. A strong leader acknowledges this problem and then seeks to change it. As the team start doing the right things, any problems will emerge and leaders then have the confidence that they are tackling the right problems and can see the needed outcome. For example, a common problem in children services is the transition where they move through age to find barriers. There is the service that “meets their need” until they reach a particular age, and then they are handed over not simply to another service but sometimes to another organisation. One example of the effects of this is of Mary who was due to leave school. She had strong autistic spectrum conditions. A new location and service was found for her which on the face of it would meet her needs and the system congratulated itself on what had been achieved with new funding. What mattered for Mary, though, was continuity and trusting relationships. The transition by necessity means that everything had to change. But Mary had not changed. The result was predictable and self-fulfilling. Mary’s behaviour became very “challenging”, with the result that her service failed her. The cost grew both financially and in terms of the strain on Mary and her family. What was needed was for the support worker with whom Mary had a strong relationship to follow her through the transition but budgets and organisation/system structures would not allow this. A good leader could have resolved this problem – before it became a problem. The real obstacles to changing thinking are rarely technical problems, but problems of will and courage – the place where leadership lives. The power of solving this problem is to demonstrate that other problems can be tackled if there is the will to do it. The problems may not be easy or simple but the will to tackle them is the vital component. It is not enough to make the changes in tackling the problems. The leader must always go back to the frontline and ensure that their efforts have paid off, and that the system is indeed working better as a consequence. This not only builds the leader’s confidence but also that of the frontline. Historically, frontline teams hate it when leaders and managers turn up. It usually indicates that something has gone wrong. The test of a good leader is that frontline teams always want them to turn up because they know that the leader is only interested in making things work better for them. Tackling the wider system across organisations is even more challenging, but also indicative of the cost and time and effort that will be needed in order to make life better for people and to see the true economic return from this thinking. An example of this can be shown through the case of John, who also has a diagnosis of ASD. He was described as a pleasant young man who sometimes presented with significant behaviours of concern. When he was 16, he was attacked by someone living with him. He defended himself and severely injured his attacker. Had he not been autistic he might have ended up in prison. As it was he spent the next 20 years in a high support service in an institutional setting. Those close to him were working to get him out. It was important that he moved without a “reputation” or service system that would continue to plague him as he lived his life in the community, like any other citizen. It took a huge amount of time and effort, but John is now living independently with the support of a good friend. Had this not happened, the best the system would have done would have been to simply move him from the high support service into some alternative special service. No-one would have challenged what they thought they knew about him. That might have assuaged some consciences, but would have been very expensive and would have done John little good. As it is, he costs little to the State and he is thriving. In a way we don’t need to think too much about whom leaders need to be. Clearly the further up the hierarchy you get, the more influence you have within your organisation/situation to make changes, but we need to pay attention to the experience that it is often the people close to the frontline who get it first. You can lead from a position of “first among equals” – it’s not what’s on the organisation chart that makes the difference; it’s what’s in your head. Anyone can be a good leader. The key is to look at the system from the person’s perspective, see what matters and help the frontline to make it work. 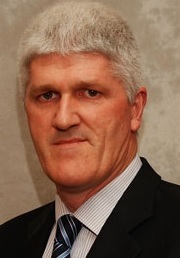 Bernard O’Regan is Executive Director of Western Care Association. A teacher by training, he worked in residential and day service before commencing a management career that brought him to his current position. Western Care Association has been focusing on individualising its services in recent years, one person at a time, to support people to have good, self-directed lives, supported by leaders who understand the necessity of knowing what’s really important.